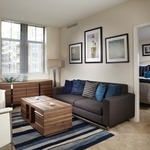 Located in Arlington, VA, and neighboring Crystal City, Camden Potomac Yard offers studio, one, and two bedroom apartments with a coveted address minutes from Washington D.C. No need for a car when you want to explore. 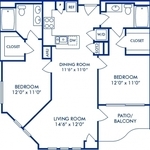 Our apartments are also close to the Metro bus and residents receive the 9S bus fare incentive. 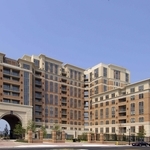 You can even walk to Harris Teeter! When it’s time to stay in, you won’t be disappointed. 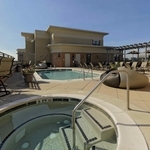 Camden Potomac Yard includes incredible amenities like 24-hour concierge, rooftop pool with Jacuzzi, fitness center, and billiards lounge. 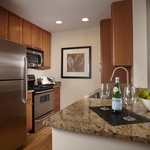 Camden Potomac Yard apartment homes feature granite countertops, stainless steel appliances and conveniences like an expanded cable package and washer and dryer. 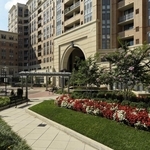 We’re pet-friendly and close to Potomac Yard Park, making it easy for your pet to get exercise. 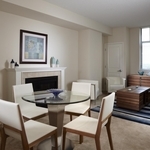 Camden Potomac Yard offers easy access to Route 395, 295 and I-66, and we are minutes from Reagan International Airport and Pentagon City Mall. We’ve thought of it all so you don’t have to!